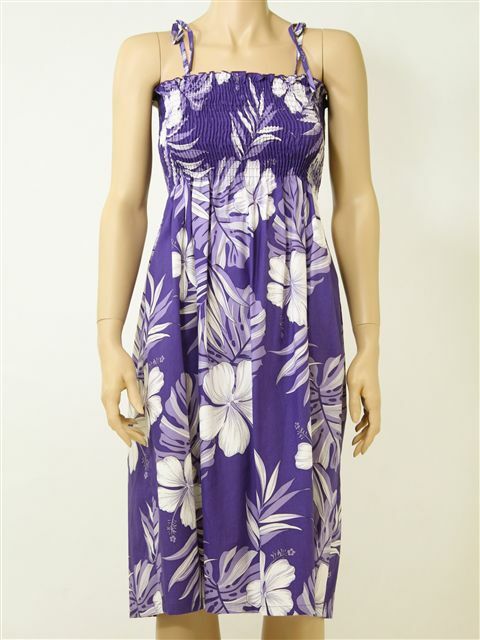 This is a Hawaiian Tube Dress. It could be worn for both casual or formal. White Hibiscus Hair Stem 4"
I like your offering different styles in the same fabric. Our ukulele group desires outfits that match; and the different styles allow the men and women to look coordinated. I am short and I would have had to alter the longer dresses so the midi dress fit me.